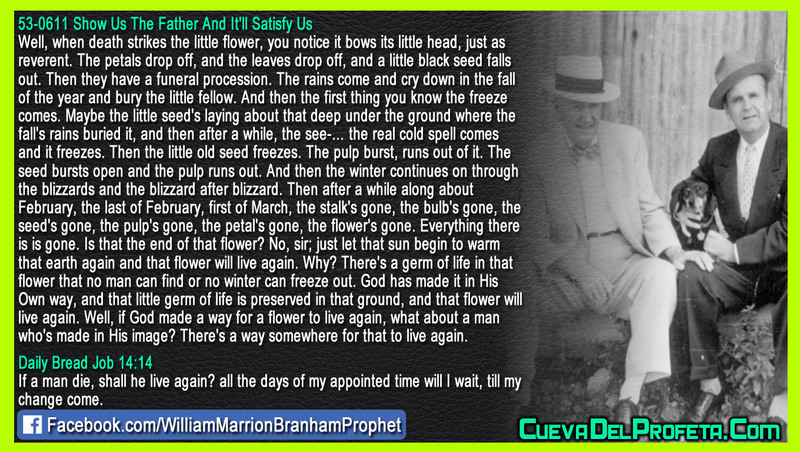 Well, when death strikes the little flower, you notice it bows its little head, just as reverent. The petals drop off, and the leaves drop off, and a little black seed falls out. Then they have a funeral procession. The rains come and cry down in the fall of the year and bury the little fellow. And then the first thing you know the freeze comes. Maybe the little seed's laying about that deep under the ground where the fall's rains buried it, and then after a while, the see-… the real cold spell comes and it freezes. Then the little old seed freezes. The pulp burst, runs out of it. The seed bursts open and the pulp runs out. And then the winter continues on through the blizzards and the blizzard after blizzard. Then after a while along about February, the last of February, first of March, the stalk's gone, the bulb's gone, the seed's gone, the pulp's gone, the petal's gone, the flower's gone. Everything there is is gone. Is that the end of that flower? No, sir; just let that sun begin to warm that earth again and that flower will live again. Why? There's a germ of life in that flower that no man can find or no winter can freeze out. God has made it in His Own way, and that little germ of life is preserved in that ground, and that flower will live again. 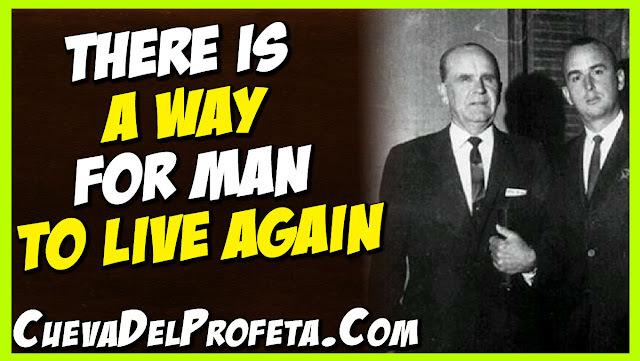 Well, if God made a way for a flower to live again, what about a man who's made in His image? There's a way somewhere for that to live again.